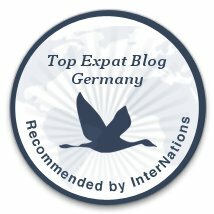 Since moving to Germany, it has become my responsibility to book and arrange pretty much all of our travel. Ok, even in Michigan it was my responsibility, but we travel a lot more over here, so I've gotten a LOT more practice recently. Sometimes, one of the hardest parts of planning a trip is deciding where to go! Thankfully, whenever I am having ''trip block'' (kind of like writers block, #firstworldproblems), I take a look at our never ending Bucket List and pick something from there or browse Pinterest for some inspiration. Now that I have an idea of where we want to go, the actual planning needs to start. Here are some of the tips, tricks, resources, and websites I use to book trips. Quick disclaimer, I am not a professional, and there are a lot of really good tips and tricks out there. These are just the ones I use the most often. I use a couple of different sites to check out flights. If I don't know where I want to go, but have a time frame in mind, I use Google flights. I can put in the departure airport and dates and click on the map to see where I can go and how much it will cost to get there. It's pretty handy for getting a ball park idea of how much flights will cost. The next site I use is the Google ITA Matrix software to search for flights, especially if my departure airport is in another country. For example, we are going to Sweden in March and wanted to fly from Frankfurt, have a day in Gothenburg, and then go on to Kiruna and finally back to Frankfurt. Booking a multi-city itinerary like that was going to cost me close to 900€ per person, a little more than I was looking to spend. However, using Google ITA, I was able to book 3 separate 1 way tickets between the cities for a grand total of just over 300€. That's about 600€ in savings, per person. You can also view a calendar of fares for flights. You just put in your anticipated departure date and your ideal length of stay (either in a specific number of days, or a range of days), and it will return the cheapest fares. This system works really well if you don't need to purchase in your local currency. Flights within a country are sometimes cheaper if purchased locally (or in the local currency at least) than using a foreign currency. For our Sweden flights, two of them were booked using the Swedish Krona instead of the Euro. Sometimes it takes a while to search, but just let it do it's thing for a few minutes and then come back to it. My first stop for hotels is usually Hotels.com. Not the most elaborate, but it gets me a good idea of hotels prices. I usually also cross reference with Trip Advisor for traveler pictures and reviews. Trip Advisor also offers a service that searches hotel prices and their availability across a number of different booking engines (i.e. Hotels.com, booking.com, Expedia), however I usually find that hotels.com is comparable to other booking sites. And if you enroll in their Welcome rewards, for every 10 nights you stay, you get a free night. The value of the free night is based on the average of the nightly hotel cost, so the more expensive hotels you stay at, the higher the value. Basically, you are getting rewarded for doing something you'd be doing regardless. Don't forget to check the hotels website too. Sometimes they offer special deals to book directly with them and hotels.com will often time match that price if the booking conditions are the same (i.e. refundable or not, room type, whether or not breakfast is included). If you're looking for something a little more homey, check out AirBnB. People can list their spare room, apartment or house for short term vacation renters. For a quick weekend, when we only need to stay a night or two, I can usually find a hotel that is reasonably priced. While I don't have personal experience, if we were going somewhere for a week or more I think AirBnB would be a great option. If you rent an entire apartment or house, you would even have access to a kitchen so that you could cook some meals yourself (and perhaps save some money on dining out). For this I primarily use two resources: Trip Advisor and Pinterest. I love Trip Advisor because it gives me honest reviews on things to do, and things not to do. In fact, this is how I found out about the Bock Casemates in Luxembourg City, dog sledding in Kiruna, and the underground tour in Pilsen. I also take to Pinterest to find things to do. There are so many travel blogs out there that a Google search doesn't always find the good (or relevant ones). Thankfully, Pinterest is there to fill this gap. Not to mention it's serious eye candy. Just type in 'travel' in the Pinterest search bar and look at what comes back. If we are going somewhere specific, I will often search travel + the city or country. So far, this has worked out great (and given me more blogs to follow!). Honestly, what did we do before Pinterest?! Submerged Oaks is even on Pinterest! If you want to see what we're pinning over there, feel free to follow us. To be honest, this is the one area I'm not great at. A lot of the time, we are driving somewhere so transportation is not much of an issue. However, sometimes its faster or more convenient to take public transit or it's too far to drive, in which case, we need to fly. For trains, we have a friend here in Germany who is a wizard at getting a great deal (we've even told him he should open his own side business he's so good! ), and Aaron books the rental car if we need one. Once we are there though, we usually weigh the options - availability, cost, ease, parking, etc. - of using either public transit or getting a rental car. Right now, we are about evenly split between using public transit and renting a car. In Ireland we rented a car, which was better for the driving tour we did, but in Sweden we will be using public transit. Sometimes, not all places have public transit available, so if that's the route you want to go, make sure you do some research before hand. I find just googling 'public transit + city' gets me pretty close. If I have a general idea of what to expect, I can usually figure out the specifics when we get there. Some places do have route planners and apps. In which case, make sure you plan an example route and download the app before you leave. Trust me on this one, it will save you a big headache. If you're traveling to Europe from outside the continent, check out RailEurope or EuroRail. Both offer rail passes, either single day, multiple day, or even month long tickets for one or multiple countries on all the major rail lines in Europe. You can also research train schedules in different countries all from the same site. While there may be ways to get a train ticket cheaper, the convenience is definitely a bonus. One of the best parts of traveling is finding and trying new, local, food and drinks. We kind of have an unwritten rule when it comes to eating out when traveling: no fast food (you can find McDonald's just about everywhere) unless absolutely necessary, like when I'm hangry because I haven't had breakfast yet.. To find good, local restaurants, we usually ask the front desk at our hotel where they go to eat or use Foursquare. Foursquare is great for finding those hidden gems. It also lists the price range, the overall ranking, and opening hours (these can sometimes be hit or miss though). A bonus is that you can search by type of food if you want. So that's it. Some of the tips and tricks that I have picked up in the last few months of planning weekend trips, city escapes and longer vacations. I hope you find some of them useful! And if you have any good tips, please share them in the comments. Everyone loves a good travel hack!